Stock your pantry with whole, raw nuts and seeds. They make great snacks. Plus, these nutritional powerhouses add crunch and quality protein to your cooking. When you cook with nuts, you'll use them more quickly, so you can buy them in bulk at your local health food store on in large bags at a discount store. This is usually cheaper than buying small cans and bags of nuts at the grocery store. 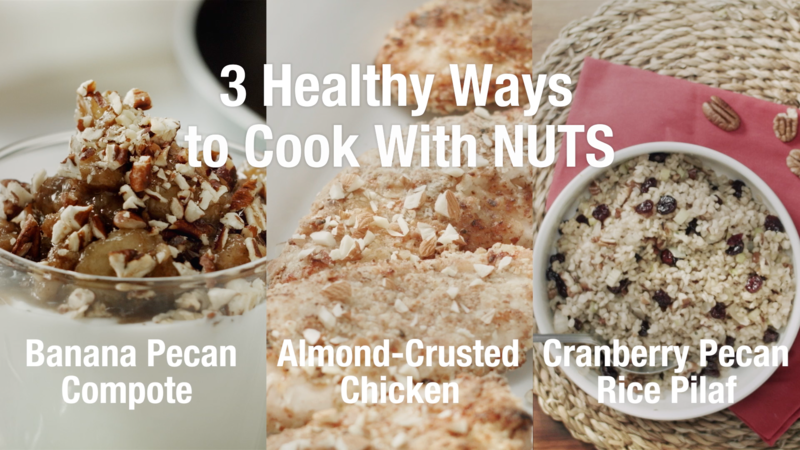 Watch: 3 healthy ways to cook with nuts. Journalists: The broadcast-quality video (2:10) is in the downloads.